Pastor Chuck and Sister Jo Morley have faithfully served Rock Springs since 1994. Blessed with an extraordinary sense of humor and the anointing to expound the Word of God, the Lord has opened many different avenues of ministry for our church. 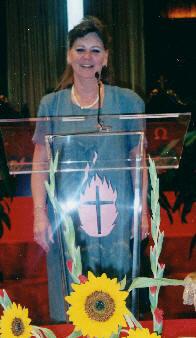 Sister Jo Morley is director of the women's ministries at Rock Springs. An anointed teacher in her own right. The Lord also uses her tremendously in the areas of intercession and worship.